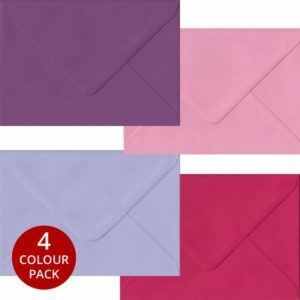 Our Pink & Purple Pack contains four different shades of Pink and Purple. 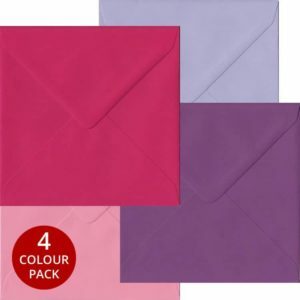 With Pastel Punk, Fuchsia Pink, Purple and Lilac our Pink/Purple Pack has something for everyone. 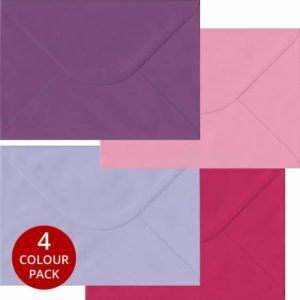 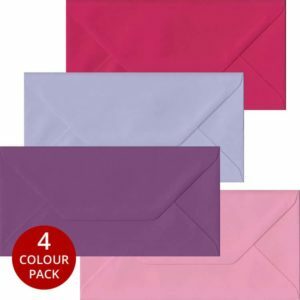 Available in all our most popular sizes our Pink/Purple Pack is perfect for Wedding Stationery, Christenings, Christmas, Birthdays and Parties.